Use adorable (calorie-free!) cupcakes to set the scene for celebrations of all sorts, including birthdays. 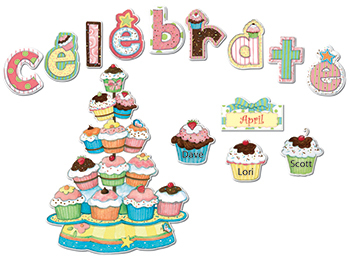 All 59 pieces feature artwork by Susan Winget: the centerpiece, 37 cupcakes, 12 monthly headers, and the 9 letters spelling "celebrate."